This summer, you are not going to want to miss the exciting events taking place in our very own Hendrick County. The event calendar for 2017 is looking great, and June is going to be the month to keep an eye on. Not only will you be able to get back into the swing of Farmer’s Market season, but you’ll be able to participate in summer fun events like craft shows, the fishing derby, concerts, and more. You’ll find it to be the perfect time to stock up on your favorite yard sale finds, or finally start planning for “I Do” at the bridal expo. It’s also the time to get active with the HCCF Golf Outing or the Sumer Fun Run Series. 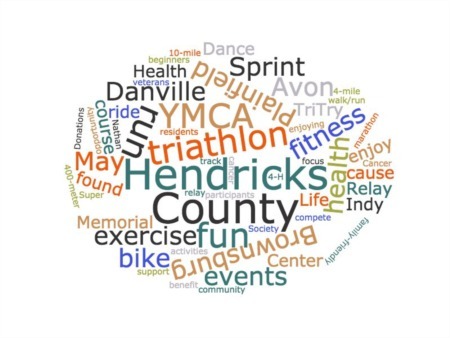 Take a look at these exciting events and more coming this June to Hendricks County. This is the time of year to really enjoy the beautiful sunshine and Farmers Market fun. You’ll find them starting as early as June 1st with the Brownsburg Farmers Market presented by IU Health West Hospital happening every Thursday until September 7th featuring over 40 vendors. Check out the Danville Farmers Market starting on May 27th and going on every Saturday on the west side of the historic Courthouse. On the 7th, you’ll find the Wednesday Farmers Markets at Plainfield Friends Church where you can find all kinds of local produce and handmade crafts. If you love to get moving and love the outdoors, you’ll love this June’s exciting athletic events. Start with the Family Fishing Derby on the 3rd where you can take the little ones to fish for free at the Sodalis Nature Park pond if you bring your own pole, bait, and bucket. That same day is the B&O Bicycle Tour, a family-friendly trail ride featuring a BBQ lunch and live music. Then plan for the HCCF Golf Outing on June 6th where you can hit the inks and learn about the ways HCCF is giving back. You’ll also want to check out Bella’s Tee Time Golf Outing and the Danville Chamber Golf Outing. Ladies will want to check out the uPaint Ladies Night on June 9th where you can enjoy a girls night out at this paint studio for half price. You’ll also love finally enjoying some summertime live music with two exciting concert events coming up. Check out Straight Up Chumps at The Coachman Restaurant & Lounge in Plainfield where the Straight Up Chumps will be performing on the 16th. Visit The same location for live music on the deck happening all summer long with American Cheese. Do you love to shop and visit local cultural stops like art studios? 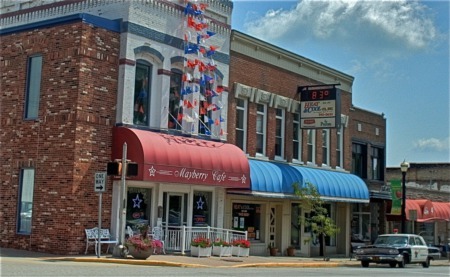 Enjoy the Rural Routes to Main Street Cultural Trail on the second Saturday of each month, making June 10th the perfect time to enjoy a self-paced driving tour of the area. You can visit up to 34 local artisans at shops and studios, as well as historical and cultural sites throughout the area. If you like a night of gambling, check out the Danville Rotary Corps Bicycle Poker Run on the 24th where you can take a fun bike ride through the county, collecting a card at each stop, and trying for your shot at the best poker hand at the end of the ride for a prize. You’ll also love the Firefly Night Hike that night where you can enjoy bioluminescent insects like fireflies as you hike at the McCloud Nature Center. Take the kids to Nature Play Day on the 10th to spend some time in nature at the Indiana Children and Nature Network Play Day where kids can get a break from screen time and enjoy checking out birds, bugs, and more. The little ones will love the games, food, and entertainment at the St. Susanna Parish Festival on June 15th-17th while Father’s Day on June 17th will offer a special Father’s Day Buckaroo Bash over at the Natural Valley Ranch for time fishing in the pod, taking a pony ride, and enjoying craft time. If your kids have too much energy, take them to the Sky Zone Glow everywhere Friday night in June where you can enjoy the special black lights, laser light, jumping, and face painting games at the Sky Zone Indoor Trampoline Park. You can also take the kids to the Summer Fun Run Series to get some exercise for no charge running or walking around local parks for 5k and 1-mile course options. If you’re ready to enjoy the fun of Hendricks County, you can’t go wrong with these top events to kick off the summer. Be sure to stop by these events in June 2017.